Active duty Navy servicemen Alex West and James McFadden, having each served multiple deployments, know firsthand what it is like to come home from a traumatic combat zone. Upon their returns, both found solace through surfing and, as such, have created a nonprofit that aims to help other veterans recover from traumatic injuries, one ocean wave at a time. West recalled the impetus that led to establishing the nonprofit. While waiting outside the break with another wounded veteran, he casually said, “Man, it sure is beautiful out here,” and took note of the huge smile on the veteran’s face. But it wasn’t the weather that led to the bright smile. “He laughed and said, ‘I’m smiling because when I’m out here on a board I feel like everyone else,’” West recalled. “Our mission is to instill the one thing that veterans experiencing psychological illness or major injury are often missing — hope,” West said. 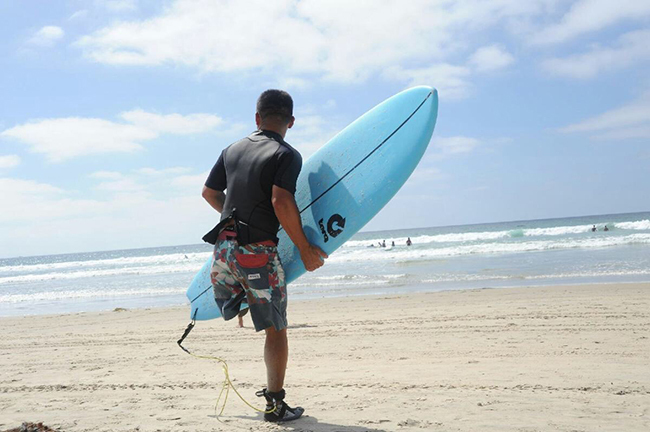 The nonprofit plans to sponsor disabled veteran surf trips, create surfboard designs that become known worldwide and, most importantly, make an impact on decreasing the number of veteran suicides. “We want these veterans to know that the community cares about them, that we care about them,” West said. The duo held three successful fundraisers at McP’s Irish Pub and Nicky Rottens in Coronado and raised thousands of dollars to establish the company’s administrative needs and fund the purchase of the first three fiberglass blanks. The pair has also forged a partnership with San Diego-based Addict Surfboards, which provides and shapes the blanks into surfboards. 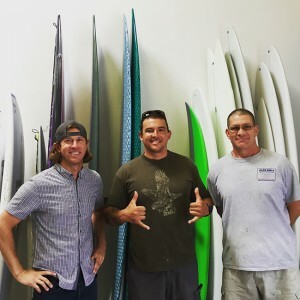 Addict Surfboards’ owner Micah Shanahan picked up on West and McFadden’s passion for the project and has since become a volunteer at the surf clinic. “I can’t imagine One More Wave without him,” West said. As Shanahan shapes each board, he works side by side with each wounded veteran in the customizing process from start to finish. 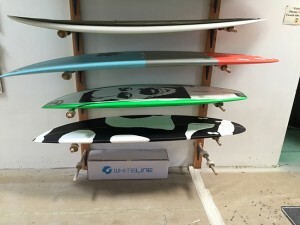 “We wanted the veteran to have a personalized experience with the creation of their board, so we let them decide the shape, fin set up, artwork, and whether they want their board to be epoxy or fiberglass,” West explained. The board is further customized to reflect the kind of waves they ride, their skill level, and weight. So far, boards are in the works for three veterans: a Marine who lost a leg in Iraq due to an IED (improvised explosive device), a SEAL who lost a leg in Africa due to a gunshot wound, and a Navy nurse who experienced a traumatic brain injury from a mortar attack in Afghanistan. West and McFadden chose to base One More Wave in San Diego since the city is home to the nation’s largest number of veterans who served in Iraq and Afghanistan, but they intend to eventually expand to the East Coast and Hawaii. To learn more about One More Wave, or to donate, visit onemw.org. 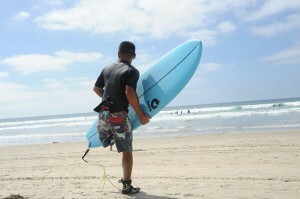 Veteran Chris Small heads for the waves and surfs on the custom board made by One More Wave’s design. 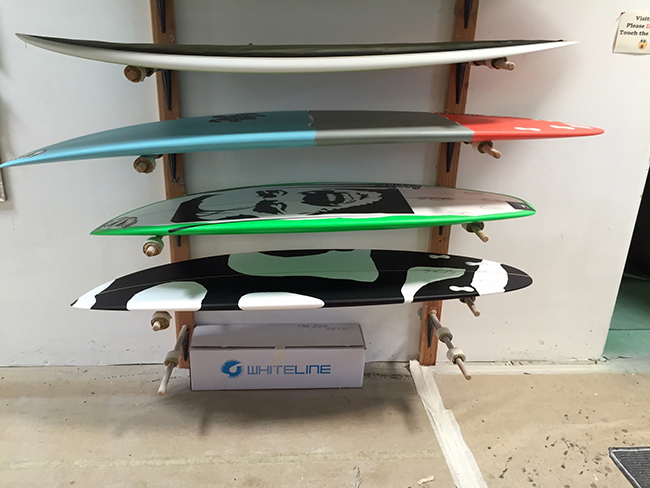 Board shape, size, and fin placement are customized for veterans’ specific needs. 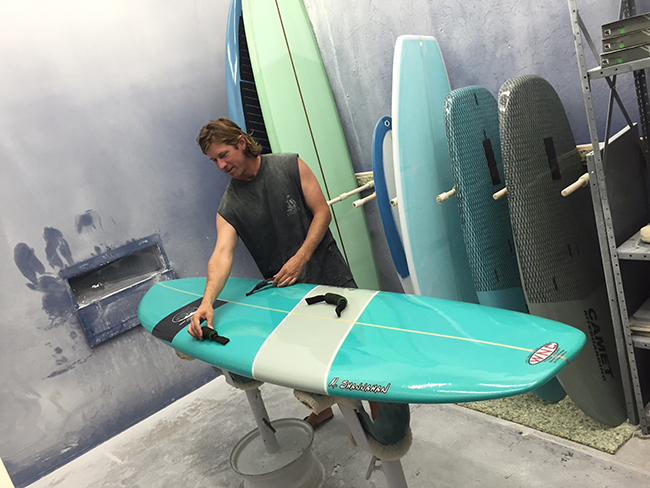 Shanahan shapes a custom board, attaching handles for the veteran that will use it. From left: board shaper and Addict Surfboards owner Micah Shanahan, One More Wave co-founder James McFadden, and Alan Beels of Addict Surfboards.